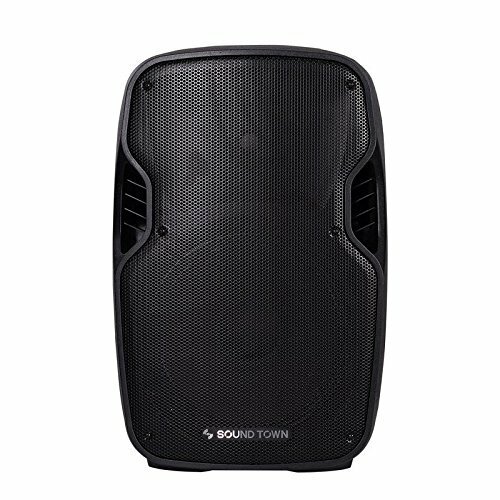 The Sound Town Phobos series is the ultimate all-in-one portable PA speaker. It's not just designed for the mobile/street artist and musician, it can also be used for DJ events, or you can plug in the included wired microphone and throw a karaoke party. Built-in with DSP multi preset EQ modes, Mp3, LCD player, USB and SD card input, RCA input/output, and aux line in. Built-In DSP technology- High quality multi preset EQ modes. A class D amplified portable light-weight PA speaker with true 200 watt RMS / 400 watt peak power output.